Estes Hills - Fantastic backyard with pool & patio plus a roomy screen porch. MLS#2247222. 64. Lake Forest - Detached Nantucket-style studio/workshop/office is wired with its own AC unit. Fresh interior paint. MLS#2247276. 238. Convenient to UNC, Duke, RTP, RDU, shopping, entertainment & medical. MLS#2247116. 3506. Mel Oak Estates - Seller will have pool opened and fully operational for the summer! MLS#2246999. 64. Wilder Ridge - Landscaped and ready for move-in! Call today for more information. MLS#2247013. 2729. 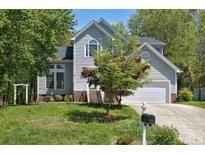 Close to UNC,RTP,RDU,Duke MLS#2246803. 3506. Hollow Oaks - Clad in stone, wood & naturally rusting Cor-4 alloy, it features an entrance portico, chef kitchen, dining area w/glass roll-up door, living area with fireplace & 20 ft ceiling, tiled elliptical master walk-in shower, roof deck & electric fence. Horses allowed. MLS#2246695. 447. Seller is a real estate agent. MLS#2246706. 4678. Governors Club - World class medical care, arts & shopping minutes away. MLS#2246859. 45. House is in excellent condition including New Roof; 2019. 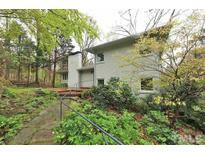 MLS#2246770. 48. Springcrest - Walking distance to ECHHS, short drive to shops, restaurants and movies. MLS#2246128. 62. 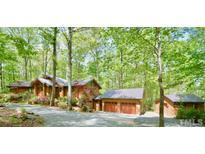 Laurel Hill - Call listing agent for more information MLS#2246870. 4542. Chapelwood - Conveniently located near Meadowmont with easy access to UNC and I-40, the home features numerous amenities including granite counters, quality composite flooring, 10-ft. ceilings, abundant natural light, and the floorplan is uniquely configured to allow the secondary bedrooms to serve as a guest or in-law private suite. MLS#2246819. 132. On the bus line, Chapel Hill Schools and near the heart of CH. Convenient to UNC,Duke I-40. 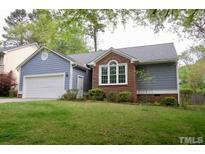 MLS#2246879. 62. It's Spring in NC, a perfect time to call 117 Faison home. MLS#2246656. 3081. Deck overlooks large back yard and beautiful trees. MLS#2246573. 45. Convenient to shopping, trails and best of Chapel Hill Schools. MLS#2246575. 297. Convenient to UNC, Duke, RTP, RDU, shopping, entertainment & medical. MLS#2246363. 3506. Coker Hills - Unfinished basement for growth potential and 2-car garage/carport. MLS#2246503. 132. Ironwoods - Storage is plentiful off of the finished daylight basement. MLS#2246464. 62. 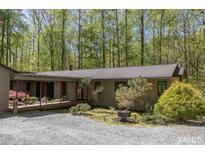 Ivey Grove - Sitting among lovely Rolling Hills & Country Estates. MLS#2246453. 81.